Q4 Are `utilities` still a useful grouping? How else might we view the provision of these services and others (eg telecoms, transport) to businesses and consumers? Q2: What lessons should we learn about public or social ownership from previous experience? Q3: What aspects of governance or regulation could be devolved to other organisations closer to users? To whom and how? 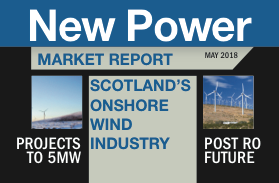 Subscribers: login to read the full report in the April issue. ← Reader question: What aspects of governance or regulation could be devolved to other organisations closer to users? To whom and how?